At Empire City Watersports we have taken the idea of renting a Jet ski and have brought it to the beautiful Empire City known as more popularly New York City. The excitement of riding a Jet ski in itself is something worth coming down for, but taking one of our tours and viewing New York City from the water is truly an amazing sight to see that most locals don’t really ever get to experience! Come join us on one of our tours and we will give you that opportunity, while riding comfortably and freely at your own pace. What is the difference between a Jetski rental and a Jetski tour? A Jetski rental allows you to ride around in a limited area for a set period of time. 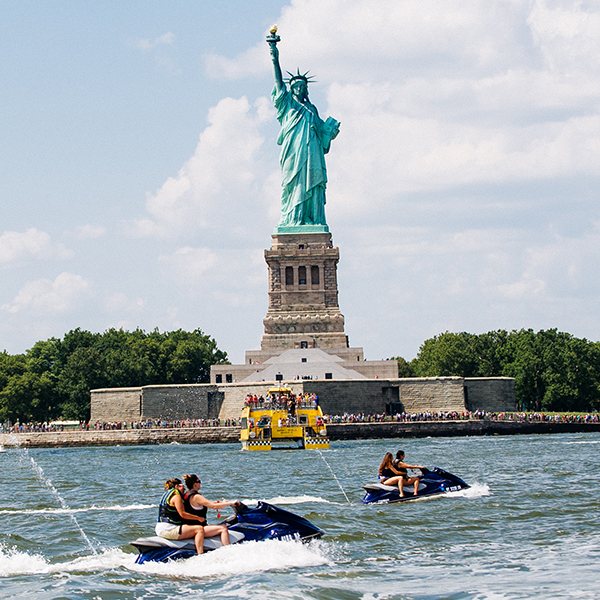 On a Jetski tour, one of our trained tour guides, will lead you on a certain route that you will get to see some of the most famous attractions and landmarks in New York City. We offer three different tours and have the option for photos to be taken on each of them. If you desire any trip that we do not offer please feel free to give us a call and we can make a custom trip for you. These videos can help illustrate what a Jetski tour entails. 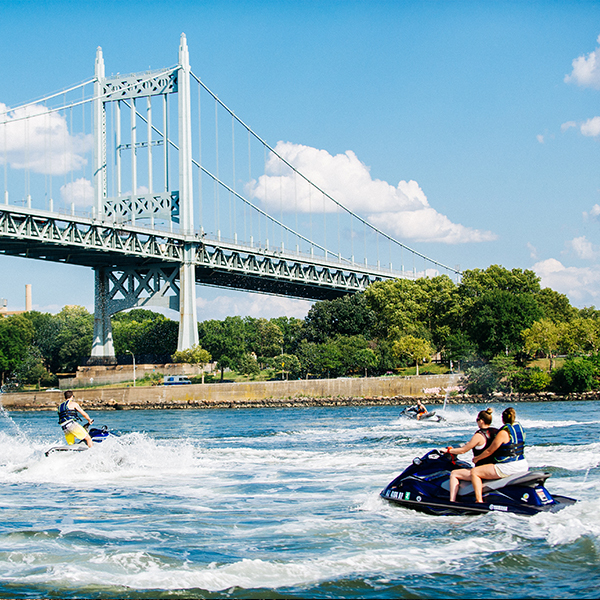 offering Jet Ski tours & Jetski rentals in NYC & Brooklyn! Experience New York City in a whole new way!